High Performance Hard Drive This drive features a high performance 5400 RPM hard drive with a total capacity of 250GB so you can store your movies, music, applications and documents for easy sharing with your friends and even back up your system. And you wonder why HD manufactures started limiting their warranties to 1 year (used to be 3 and 5 year back in the day). What's next, 90 days? Wouldn't surprise me. Pros: WD disks are great. 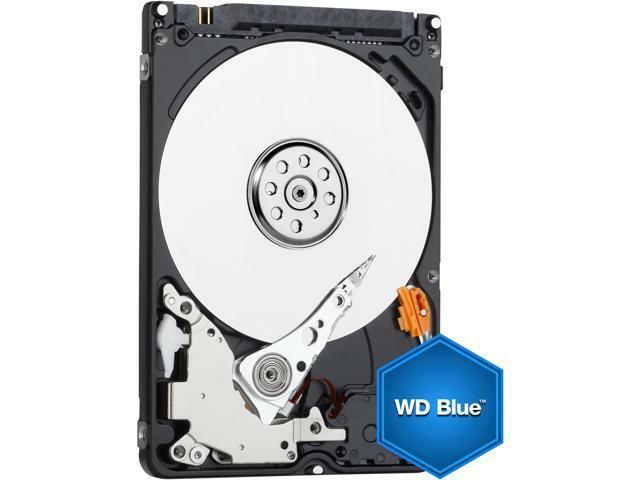 Cons: I looked up WD 1 TB sata 2.5 inch disks on the New Egg web site and did not realize the great price I found was for 250 GB and not 1 TB disks. I tried to cancel the order but the New Egg web site would not allow it (within 5 minutes of order being placed). I was going to do an unopened RMA but I need the storage thus I have to deal whth much smaller disks. I am unhappy that when you look up a specific item you get a lot more an sometimes you can get fooled like I did. I will never purchase storage from New Egg again although I will continue to buy some things from them. Other Thoughts: New Egg should modify the search engine to allow for exact match and these types of things could be prevented. This does not exiat today as far as I can see. Cons: I cannot think of any cons. Pros: runs quiet and cool. Cons: takes long time to format. Cons: Under very light usage, always in a case, never dropped, it died in 11 months. Other Thoughts: I want a bigger drive anyway. Next time, I'll get one with a longer warranty, hopefully that will indicate higher quality.